Welcome to Cupid’s Lair in Pigeon Forge! This absolutely romantic 1 bedroom, 1 bath Smoky Mountain cabin rental is the perfect place to snuggle up with your sweetheart. Upon entry, you are welcomed to the Smokies by the wonderful open floor plan. This ensures that you and your special guest will enjoy each other’s company all vacation long. The living area features a huge flat screen TV, deck access and a beautiful mountain stone accented wood burning fireplace. Cook, prepare and serve your favorite meals while on vacation in Pigeon Forge in the fully equipped kitchen. The totally romantic sleeping area features a king size canopy bed and a luxurious bedside bubbling tub with a mirrored backsplash. Just off of the bedroom area is a full bath for privacy and convenience. If you love the outdoors, then you’ll definitely want to spend some time on the full length screened porch. 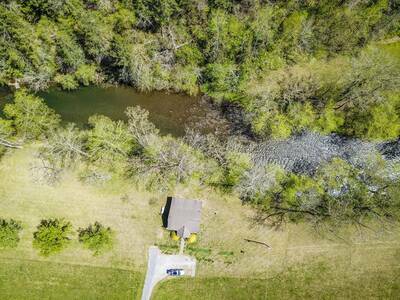 Here you will enjoy sitting in one of the rocking chairs, having a candlelight dinner on the patio table or soaking all your cares away in the toasty outdoor hot tub. 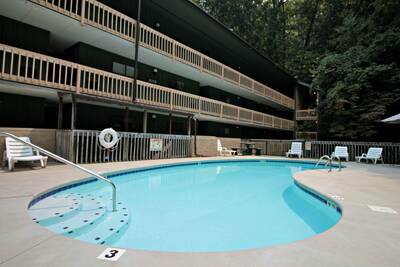 With its inviting and spacious floor plan, romantic amenities and fantastic location near downtown Pigeon Forge, you and your special guest will enjoy a peaceful and relaxing Smoky Mountain vacation at Cupid’s Lair. Reserve your next adventure together today! A: Hi Tammy! The maximum weight is 25 pounds. A: Hi Donna, Cupid's Lair is located within Hidden Mountain Resort. The roads are not as steep as most mountainous roads in the area, but they do have some incline to them. We recommended 4-wheel drive during the winter months. A: Hi James! Fireplaces are operational from October 1-April 30. A: Hi Yokasta! Yes, this is a pet friendly unit. “ Absolutely love this cabin. Clean and cozy. We will definitely be coming back!! “ It was a really nice cabin. It definitely a good place if you want to be alone with your special someone. Me and my husband enjoyed the alone time. 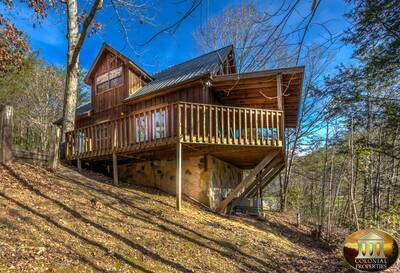 “ Cupid's Lair is the perfect cabin for a romantic getaway. The location is very private and peaceful but close enough to all the local attractions. “ This cabin was absolutely beautiful. It was just what I needed. We will be back in the mountains soon. “ Beautiful cabin. The cabin had everything we needed and more, great choice for a romantic getaway.